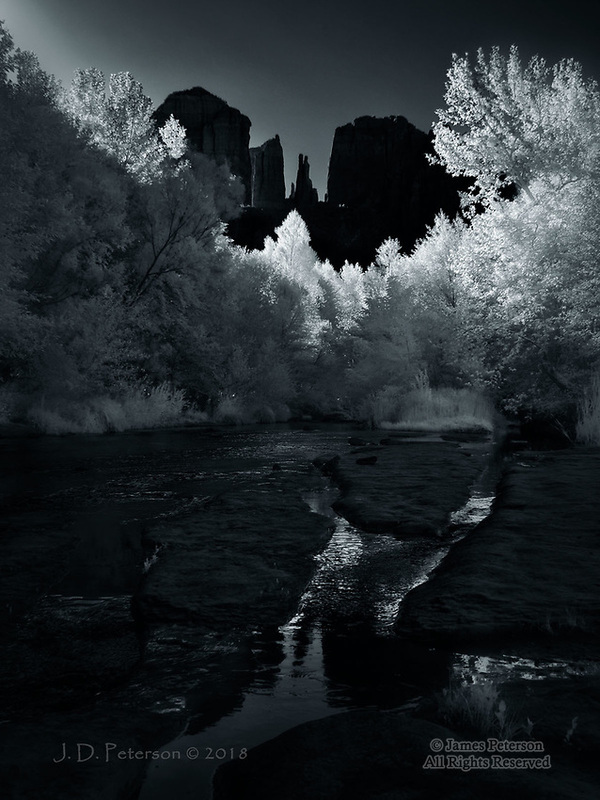 Cathedral Rock and Oak Creek (Infrared) ©2018 James D Peterson. A classic view of this stunning Sedona landmark was captured under unusual conditions - early in the morning on a smoky day (due to wildfires in the region). My infrared camera adds its own accents to this scene.